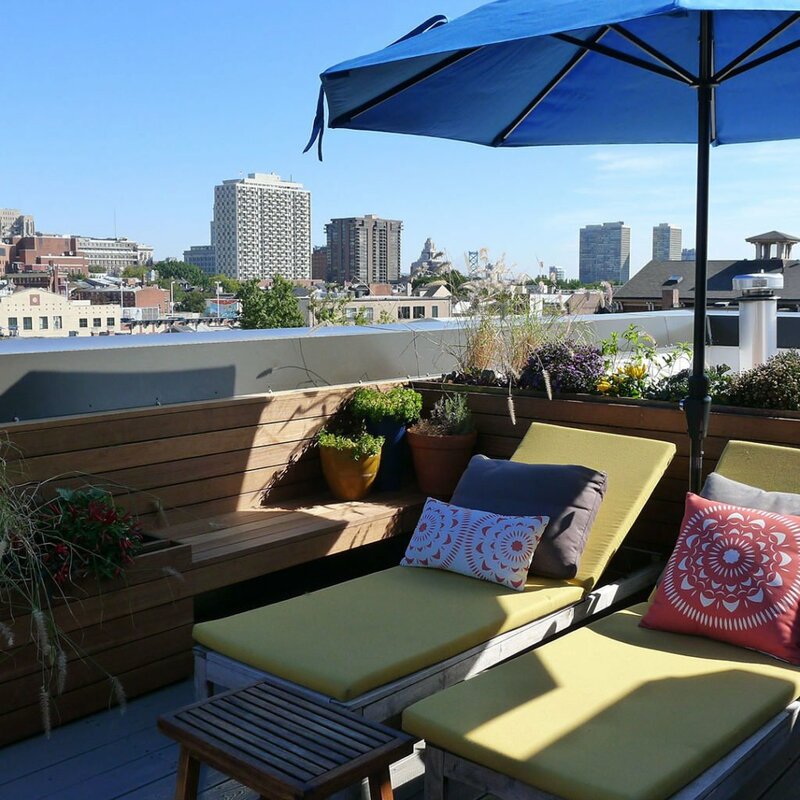 An upgrade was in order for the roof deck of this desirable condominium in the heart of South Philadelphia. 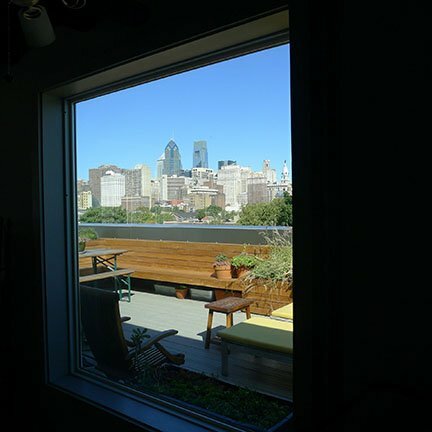 Although small, the space offers exceptional views of the neighborhood, Center City, and sunsets. 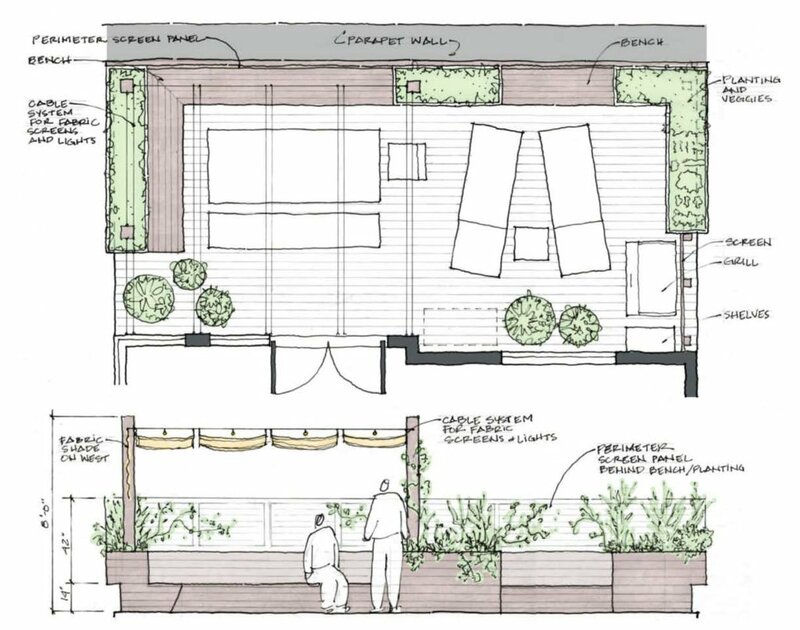 The owners wanted contemporary built-in seating, flexible shade, targeted screening, and resilient planting, while accommodating the grill, a vegetable garden, an outdoor shower, and two busy schedules allowing little time for maintenance. 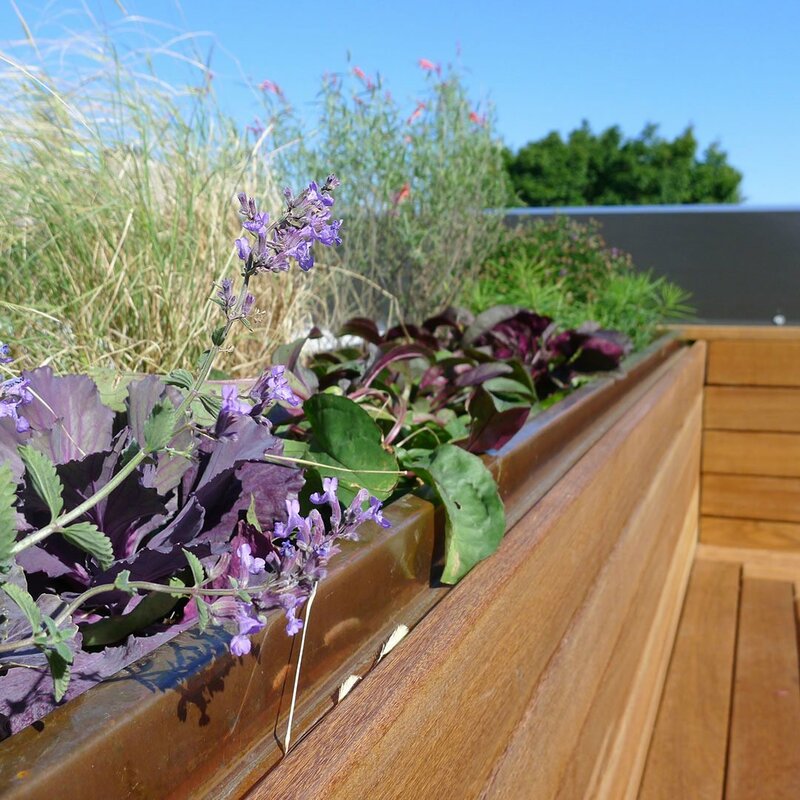 The first phase of TEND’s concept design for perimeter planting and built-in wooden benches was further developed and installed by WoodenBox LLC and Haegele Gardens in 2014.